I am loving Old Navy’s Pop Preppy line. 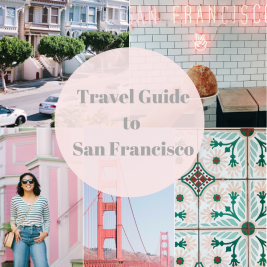 It is full of plaid, bright colors, and window pane patterns. The Pop Preppy collection is excellent for that transitional look going from Fall to Winter. Every piece is perfect for layering or great wearing alone. As you can tell, I took advantage of layering. My eyes were easily drawn to the plaid puffer vest. It is rare to see a puffer vest in plaid! 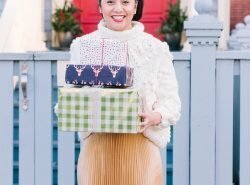 I was able to easily create a casual holiday look because of the plaid, but honestly, it’s just perfect for Winter! 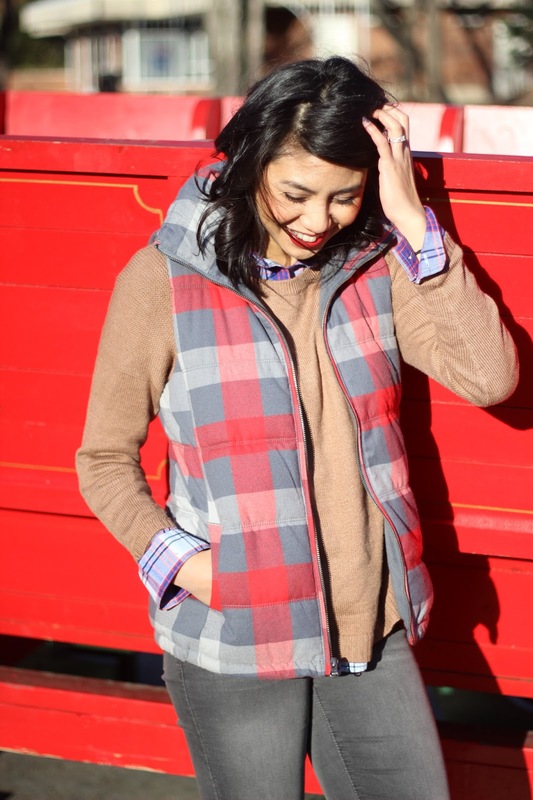 I took advantage of the plaid by layering the vest with a boyfriend-fit sweater and plaid shirt. The sweater was one of my best purchases. 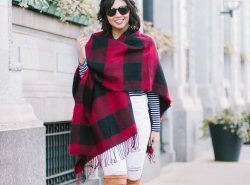 It has a great slouch style which makes it roomy for layering a plaid shirt without feeling constricted. Such a fun vest! Well really the whole look is great. Love the camel with your greys and reds. I love this look! 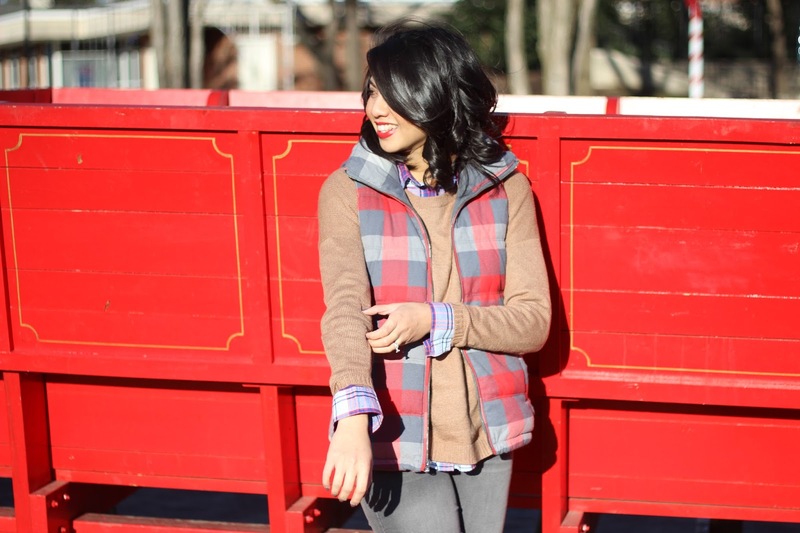 Anything cozy is right up my alley, esp this darling plaid vest! Love the soft colors of this vest – it is so pretty! I was thinking about getting that vest from Old Navy. It looks super cute on you! Love how casual this look is 🙂 Very pretty! Such an adorable vest, Rach! Love the layers. That vest is so pretty! I love the color combination of camel, grey, and red. 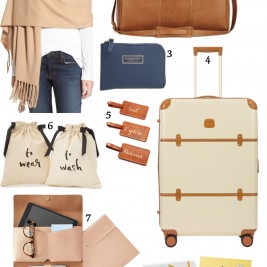 This is a perfect fall look! Have a great week, Rach! Rach, you are so pretty and I really love your vest! The backdrop is so fun too! Where was that?! So cute! Sending you much love! Omg Vanessa you are seriously the sweetest!! Such a cute holiday look. Love it!! This is such a nice autumnal look – the boots are a great touch too! 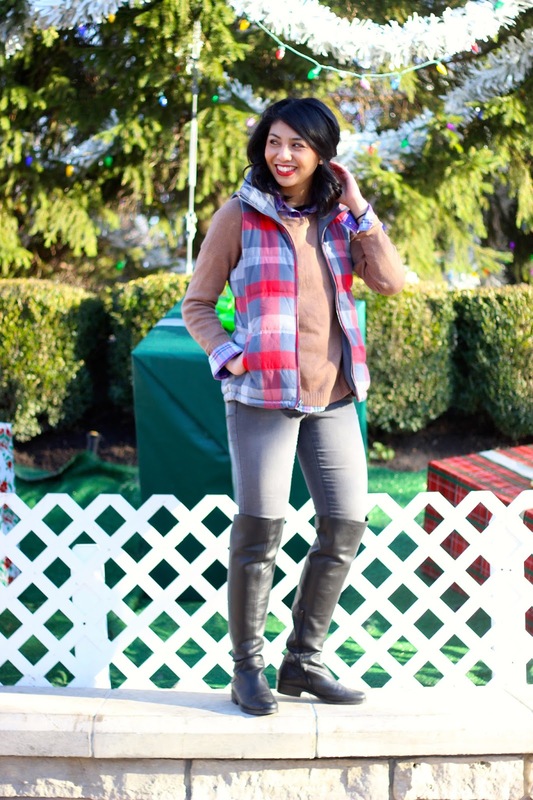 I'm loving this outfit…the plaid vest is so cute! 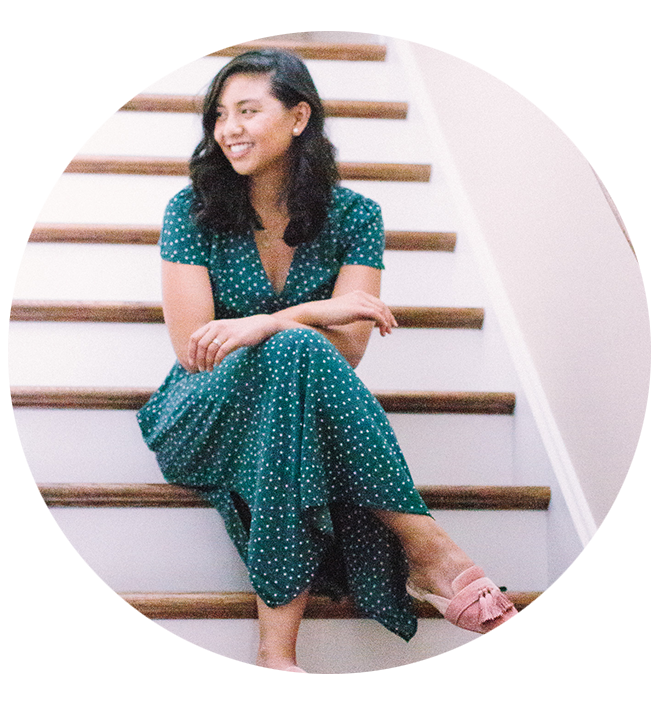 Old Navy has so many great pieces right now! And you can't beat their prices. Love those boots, too! They seriously do! I know the price just tops it off! nice color combination and it is perfect for fall! Your photos are awesome! I love the fun carnival backgrounds 🙂 Great look! Amazing vest, love a lot! Thanks Marjorie! Thanks for stopping by! Amazing casual look, love the vest! This is one plaid design that I love – it's more colorful than the ones I see around lately! Happy Holidays! 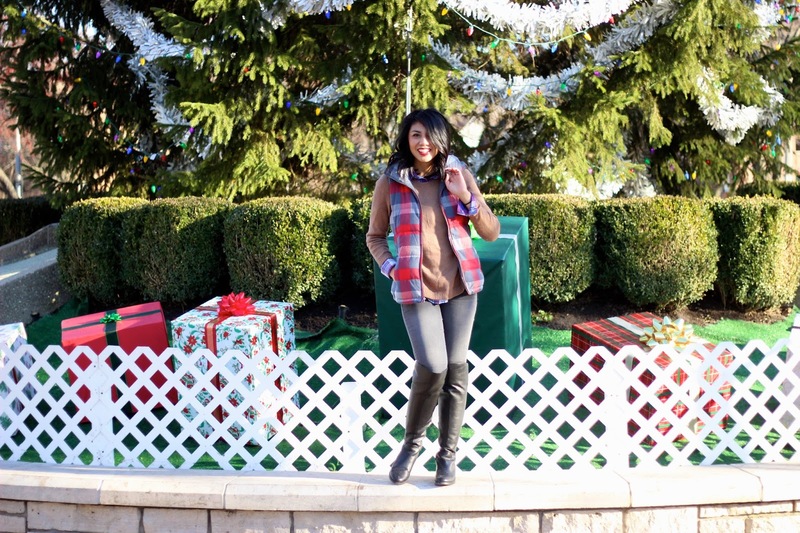 Plaid is very on trend right now, and you rocked it with this cool vest!!!! You look gorgeous! 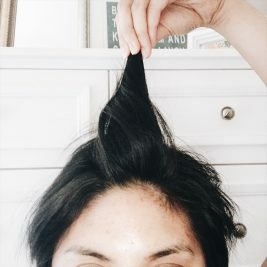 I just love your hair! fun place to take pictures! you look cute in plaid! 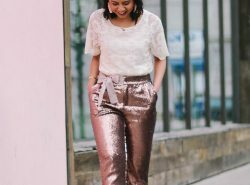 This is such a fun outfit! I love that you mixed the two different plaids together. Old Navy is so on point right now! The vest adds pop to your look. Lovin this fun outfit! I love that vest!! It's too cute. that vest Looks so good on you!! your vest really looks good on you ! Great vest. It's that season alright. 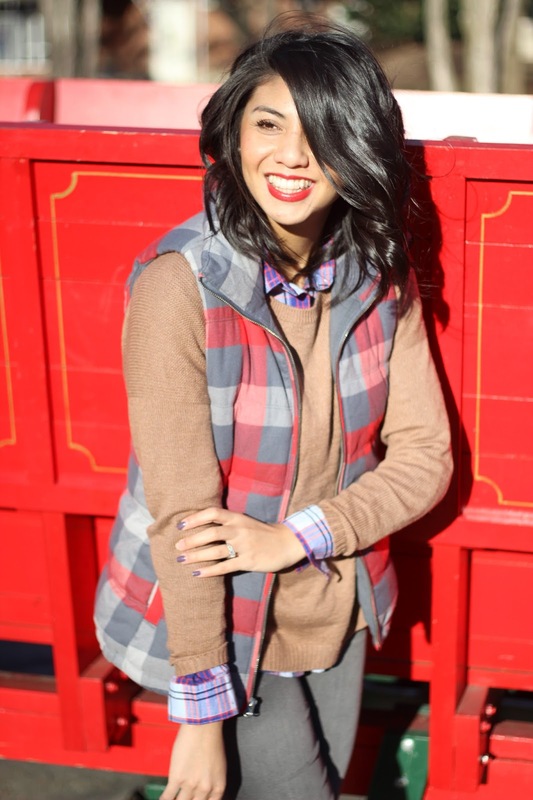 This vest is done in an awesome buffalo check print which isn't very common. You found a great piece. I really like it and you look adorable. The Pop Pretty collection does look fab! I love the vest, for sure. Lovely photos! I love your checkered vest! It´s so cute and looks really well!